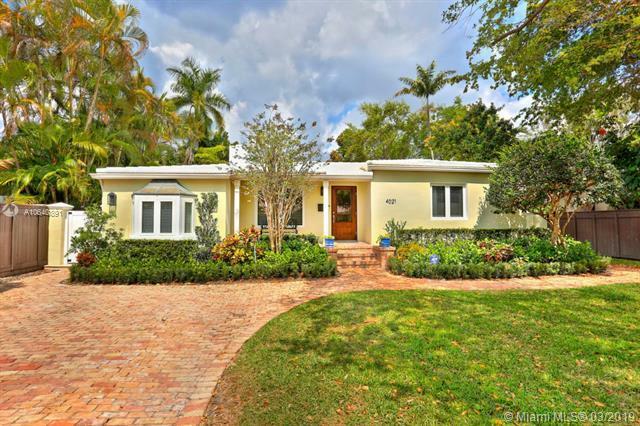 Lovely home w/ classic architectural details, impeccably updated throughout. 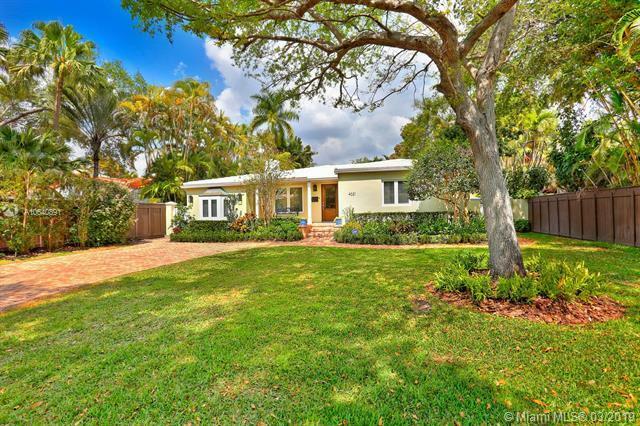 Located on a quiet, tree-lined S. Grove street, just a short bike ride to the village & bayfront parks. 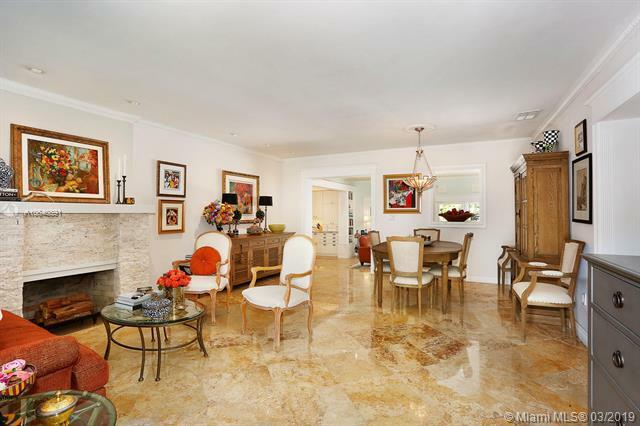 Light-filled living spaces include formal living/dining rooms, office & a spacious family room featuring walls of glass overlooking lushly landscaped grounds. Stunning, open kitchen w/wood cabinetry, marble countertops, Jenn-Air appliances & island w/seating. Notable features include marble flooring, custom built-ins/millwork and stone fireplace. Master suite has an expansive walk-in closet & luxurious bath w/ large rainshower. Guest suite ideal for multi-generational families, includes living room, kitchen & 2 BR/1BA. 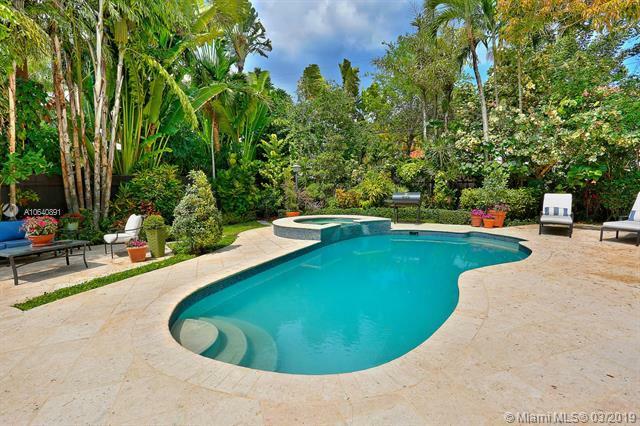 Spectacular, park-like garden with expansive terraces surround tranquil pool & spa.